My roommate loaned me this book after she read it because she said it was really good, and she was totally right! I have been seeing this comic for awhile now. It was very popular on BookTube *check out my channel! * a couple years ago, but I really wanted to read it after I saw G. Willow Wilson do an author talk at an auditorium at my college. 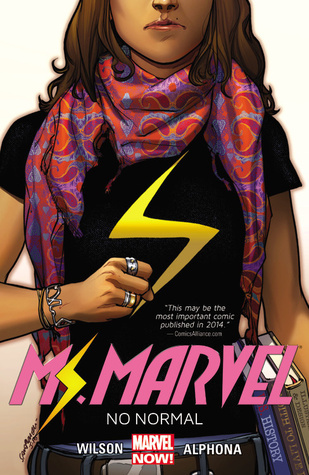 Ms. Marvel follows a Muslim-American girl who is just trying to find who she is and where she fits in, and is suddenly granted with super powers. She has the internal struggle of deciding whether or not she wants to be true to her family, or not be the odd one out at social events at school. She wants to be just like Captain Marvel, and when she mysteriously finds herself in front of her favorite super heroes of all time, she asks to be just like Captain Marvel. She wants to be pretty, blonde, and look good in thigh-high boots. She gets that granted to her, but struggles because she still wants to feel like herself. Ms. Marvel takes on some bad guys, and gets closer with a good guy. I really enjoyed this comic, and it makes me wonder why I didn’t pick this up earlier! I have really gotten into graphic novels and comics recently, and this was no exception. Kamala Khan is such a relatable main character, and I think it’s important to show this amount of diversity in the typical “American comic.” G. Willow Wilson talked a lot about how she wanted girls to feel empowered in themselves and wanted to make sure that the minority of Muslim girls were represented in a format like this. I think it’s so cool to present it like this, and Ms. Marvel is now one of the up-and-coming Marvel stars. This read quite young to me, but it could just be because it’s from the perspective of a sixteen year old girl. She hasn’t quite gotten over that being part of the “cool kids” isn’t worth the trouble yet, so she’s having some internal battles over wanting to fit in. I loved that her super power is being able to grow and shrink because that’s not a typical power that you would immediately think of. It’s not the most feminine power, and I think that that shows even more diversity within the story. She has relationships with other Muslim girls, and has been best friends with a Caucasian American boy her whole life, thus creating even more diversity. I think that this amount of diverse thinking is so important today, and having comic books with these ideals just shows that the world is willing to change and evolve. I think it’s beautiful because it’s showing everyone that they should be accepting of everyone around them no matter how they look or their culture. I would highly recommend this comic to middle school girls, because the message of being true to yourself is very relevant during those difficult years of development. Being you and being accepting of others is so important! A young Pakistani girl named Lilia is living in New England. It is 1971 when her and her parents meet their new neighbor Mr. Pirzada. He frequently visits their home for dinner, and becomes an integral part of their family. Even though the neighbors share a cultural connection, the war in Pakistan creates tension between them. Lilia learns how war can create fear and uncertainty, even when you live far away from the conflict. I liked the first story of the anthology better than this one, but I still enjoyed reading this. I feel like this book is making my reading branch out more, and I feel like I’m reading more diversely. I’m here for it. This story is about a young girl, Lilia, who lives with her parents. A man named Mr. Pirzada always comes to their house for dinner, and she doesn’t seem to question it. After getting to know him a little bit more she understands that his family is living in war in India or Pakistan. He hasn’t heard from them in a long while, and he’s worried about them, but he still treats her like his own daughter. He brings her candy, and she cherishes everything from him. There wasn’t a lot to this story, but I do think that it was beautifully written. I really enjoy Lahiri’s writing style; it’s eloquent and easy to read. I think the theme of loss and longing is prevalent, and it seemed more real because it was coming from a young girl. Her friend moves away, and she doesn’t know how to cope with that. I really felt empathy for Mr. Pirzada. He wanted his family to be with him so badly, so he ends up finding a “host” family with Lilia and her parents. I think that if it weren’t for him joining them for meals he would have been much worse off. I don’t know how hard it would be to be separated from your family without knowing how they are or even if they’re alive, but I’m assuming it would be so hard. I wanted him to feel better and be happy! I really enjoyed Lilia as a character because she was vulnerable in just the right ways. She’s a kid, so her shyness was portrayed perfectly. She also valued everything that she had in her possession, but was never greedy. I think that was an interesting trait to give her, but it worked well with the story. 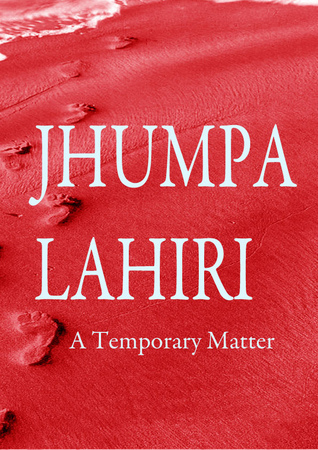 I look forward to reading more by Jhumpa Lahiri! This was a strange read because up until about 3/4 of the way through not much had happened, but I was still wanted to keep reading. I read this fairly quickly, and it was refreshing to read something of the mystery genre. 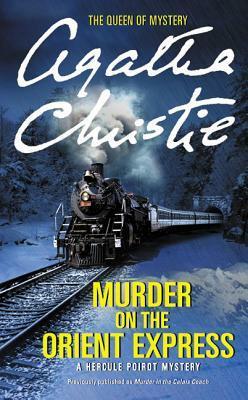 This book followed Hercule Poirot solving a murder case set in a train stuck in the snow. He was to interview all the passengers and solve the murder of Samuel Edward Ratchett. He was stabbed twelve times in the middle of the night, and there are quite a few suspects in the case. Most are linked together by one specific incident. Was this coincidence or on purpose? Follow M. Poirot in the solving of this murder mystery. I’ve only read one other Agatha Christie novel, and the style was very similar, so I’m assuming that most of her books follow the same path. I don’t understand why people would blatantly lie to the investigators/police because it just makes EVERYTHING so much more complicated. I don’t understand why so many people would lie about their whereabouts when there is no purpose of lying. I liked the last 1/4 of the book the best because you actually got some information. Poirot had the whole situation understood, and left the reader and all the other characters of the story completely clueless. It was fun to hear how the whole murder played out, because the way the story was written was very secretive. I enjoyed the fact that Poirot actually paid attention and looked into everything. I get that he’s a detective and all, but it’s cool. Reading this made me want to read more of Christie’s works. I have really enjoyed reading this spooky book during this spooky season :) Can’t wait for my next mystery book! After a revealing conversation with the first children of her age she’s ever met, curious eight-year-old Alice Chattoway realizes that one ought to have a father … and she doesn’t. Having determined that his absence is making her mother unhappy, Alice resolves to find him and create a family for herself. However, Alice’s mother, Miss Chattoway, is reluctant to answer any questions posed about a man she’d much rather forget. While Alice investigates, Miss Chattoway tries to balance her own spiritual turmoil with her need to be both mother and provider to her daughters. Will Alice ever unravel her mother’s secrets? Can Miss Chattoway let go of the past to reach for the future? Huge thank you to Kellyn Roth for sending me a copy of this book! This story follows Miss Claire Chattoway and her twin daughters Alice and Ivy. Miss Chattoway is a single mother in the 1870s living near London, so people are skeptical of her. Decent women don’t get pregnant before marriage because during that time people didn’t just sleep around if they were in the right social circles. Anyway, so Miss Chattoway is raising two girls and is running her dress shop. 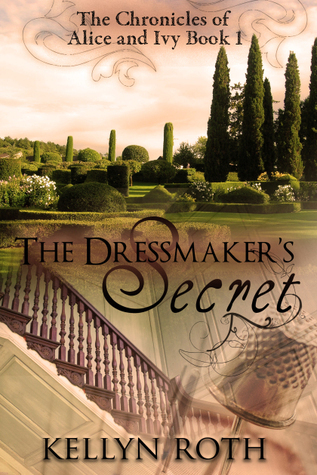 She creates the designs and sews dresses for people of the town she’s in. Alice gets very curious as to why she doesn’t have a father, and Claire is very skeptical to telling her about how she came to be. Alice does some digging and finds out that her mother is heartbroken, but was actually married when she was 17. Who is her father? This story was really cute! Before reading this I didn’t fully delve into the synopsis, so I didn’t know that it was taking place in the 1800s in England. YAY ENGLAND. My dream travel destination :) That was a nice surprise. I really enjoyed Alice as a character because she was so curious and willing to look for what she wanted. I didn’t really enjoy how her sister Ivy was portrayed. It said multiple times that she was a simple girl and didn’t really understand what was going on, but I think some of the language choices should have been evaluated more. I found Miss Chattoway to be a little annoying at the beginning, but I came to enjoy her by the end of the story. Her story was tragic and made me sad, so I felt sorry for her. Another thing, though. This book was very predictable. I guessed the ending about halfway through, which isn’t bad, but I did guess everything that was going to happen. I did like the ending even though it was predictable. 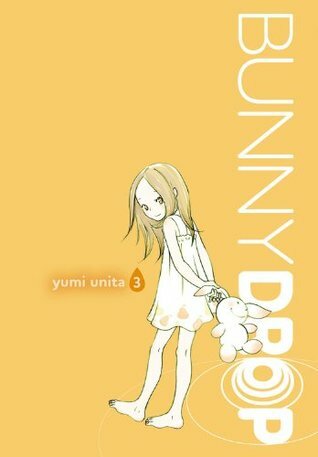 It was sweet, and made me want to continue on with the series. I really hope that Alice and the stable boy end up falling in love because aww that would be so cute. This has been my favorite volume so far because Rin has grown up a little bit and is talking more. This is a really cute series, and I’m glad that I’ve kept going. There is more plot now, and we’re finding out more about Rin’s biological mother. Daikichi is struggling with work and trying to find a balance in his life with everything that’s going on, but Rin is trying to help with anything she can. This is seriously so cute. I know that a lot of manga is kind of violent, but this is just adorable. There isn’t much to the plot, but I want to keep reading. I think I might try to watch the anime because I’m enjoying the manga so much. I really enjoy the art style; it’s easy to follow and I like how Rin is portrayed. Rin is a very real character. She acts just her age, and the way she repeats some sentences reminds me of the younger sister in My Neighbor Totoro. One of my all time favorite movies, by the way…. Highly recommend, super cute. I really have been enjoying Daikichi because he’s having to deal with raising a daughter, lots of work, but he’s also trying and failing with his love life. It’s funny how bad he is at talking to women. One of my favorite scenes was at the factory he works at, a woman comes up to him and tries to talk to him, and he’s just going on and on about how he’s so bad at talking to women. It’s funny. I enjoy it. Like a plot out of a soap opera, bachelor Daikichi Kawachi’s boringly normal life got a touch of the abnormal when he learned that his late granddad left behind a love child. And further rattling the unexpected skeleton in the closet? The ungainly, unglamorous Daikichi’s impulsive decision to take in little Rin! But as the impromptu dad and his charge learn to adapt to both one another and their very new living situation, Daikichi is plagued by thoughts of Rin’s mother. Who is she? Why has she been quiet all this time? Hot on the trail after discovering a modem at the old man’s computer-less abode, Daikichi plays detective in search for answers. But elementary school enrollment, extracurricular activities, and other parental obligations wait for no man, so when the day of confrontation with the mysterious Masato arrives, will Daikichi be prepared?! 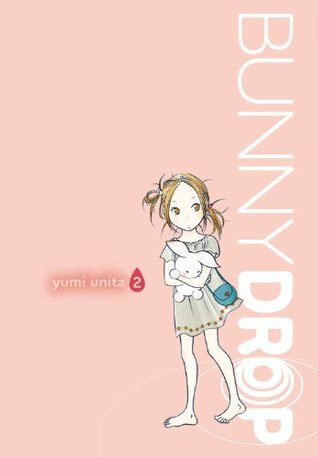 This volume of Bunny Drop follows Rin and Daikichi. Daikichi is trying to find out who Rin’s biological mother is, so he enlists the help of his own mother. Rin is about to go into first grade, so she needs to start acting like a “big girl.” Daikichi doesn’t know how he could live his life without Rin. This volume was really cute. There were two scenes that made my heart melt because of the cuteness. First, when Rin and Daikichi are shopping for a desk and a backpack. It felt so real because that’s how a kid would act if they had to go shopping for something like that. She was so excited about having everything, and ended up wearing her backpack when she got home that night. It was so cute because I remember doing stuff like that. I remember wearing new clothes at home because I was so excited, or writing in a new notebook I just got. The second part was when Daikichi said that it’s not bad to want to be held when you’re in first grade. You can always be held, sometimes adults even need to be held sometimes. So Rin remembers the time that he was crying because she told him she didn’t want him to adopt her, and she said sorry and that next time she would hold him if he needed her to. It was so fricking cute.